All proceeds for the $5 expansion go toward the Call of Duty Endowment's effort to support vets. 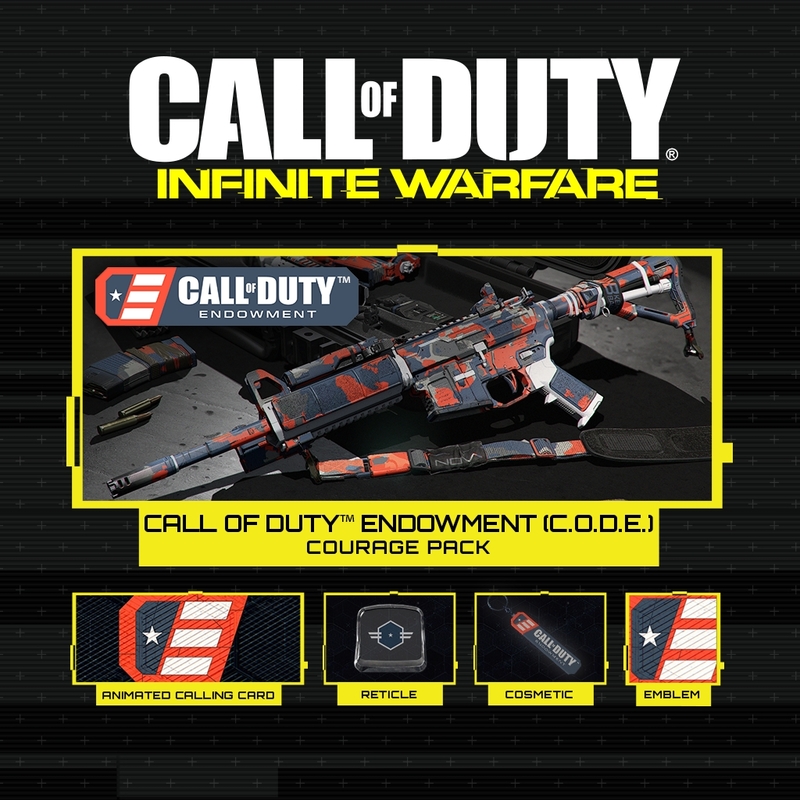 Activision and Infinity Ward announced that all proceeds from sales of Call of Duty Endowment's (CODE) Courage Personalization Pack for CoD: Infinite Warfare, a $5 DLC full of cosmetic modifications, will go toward CODE's efforts to support veterans after they finish serving in the military. "One hundred percent of Activision proceeds will go directly to the Endowment's mission to help veterans secure quality careers when they leave military service," Activision explained in a press release. "More than 3,100 veterans have been placed in good jobs through the in-game program to-date." The Courage Personalization Pack is strictly cosmetic. Players will receive a weapon camo, an emblem, a new reticle, and an animated Calling Card. Infinity Ward will celebrate the DLC by hosting a Call of Duty: Infinite Warfare stream on December 9 beginning at 11:00am Pacific / 2:00pm Eastern. "Infinity Ward is thrilled to partner with the Endowment to support getting vets back to work," said Infinity Ward Studio Head Dave Stohl. "We've poured our hearts into making the incredibly cool, specially themed C.O.D.E. Courage personalization pack. The pack features more ways than ever before to help players demonstrate their charity and show a willingness to help the most veterans possible as they come home from war and readjust to civilian life." Call of Duty Endowment is a nonprofit founded in 2009 by Activision CEO Bobby Kotick for the purpose of finding and funding organizations that help veterans secure jobs. To date, Endowment has funded over 29,000 job placements and achieved a six-month retention rate of 89 percent. The organization hopes to place 50,000 veterans by 2019. With the help of Call of Duty's fans, Endowment has raised over $1.7 million and helped 3,100 veterans find jobs so far. You can learn more about CODE at its official website. I would love to see Activision's report on how many vets they have employed themselves. 'Tis not the season to be cynical, watcher of experience points. I am serious, so many large companies throw money at a charity and consider that "doing their part"
Do they practice why they preach here?